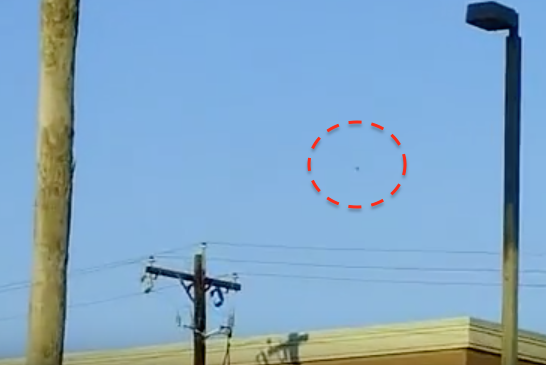 UFO SIGHTINGS DAILY: UFO Over McAllen, Texas For 3 Min, On Oct 2012, Video, UFO Sighting News. UFO Over McAllen, Texas For 3 Min, On Oct 2012, Video, UFO Sighting News. This is report just came in this week, but was of an old sighting. The intriguing thing about it is the when the person started filming, the UFO noticed him and began moving moving. The object starts out looking rectangle shaped, but later looks diamond. It is also rotating slowly, before it moves away. Excellent video, not for its detail, but for showing us its movement. Witness testimony: the date was 10/04/2012 it was about five o'clock in the afternoon when I noticed a round object moving on my right (NE) and appeared to be moving slowly to the N NW. I took out my Jazz mov178 HD camcorder and began filming the object. I filmed it for just under three minutes. The object at first looked like a balloon that might have been released, but the wind was blowing to the south and a balloon would not have been able to move in the direction it was moving. The object was rolling and appeared to give of a corona like pulsation of orange yellow energy. 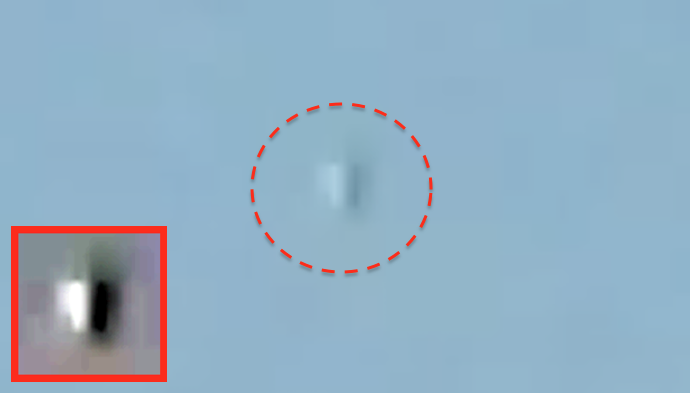 It also began to appear to change its size and shape but displayed no extreme flight characteristics until near the end of the clip when the object traveled back along its own flight path for several seconds before making a second 180 degree course change to put it back on its original course. At this point it was difficult to distinguish the object with the small display on my camcorder. it appeared it remained on its course towards the NW though it was no longer visible. I have filmed other strange phenomena and have submitted another report with video to MUFON in the past so I was not overly exited by what I saw, the greatest emotion I felt was curiosity. Reported February 3, 2015. Case closed by Texas MUFON as an Unknown.